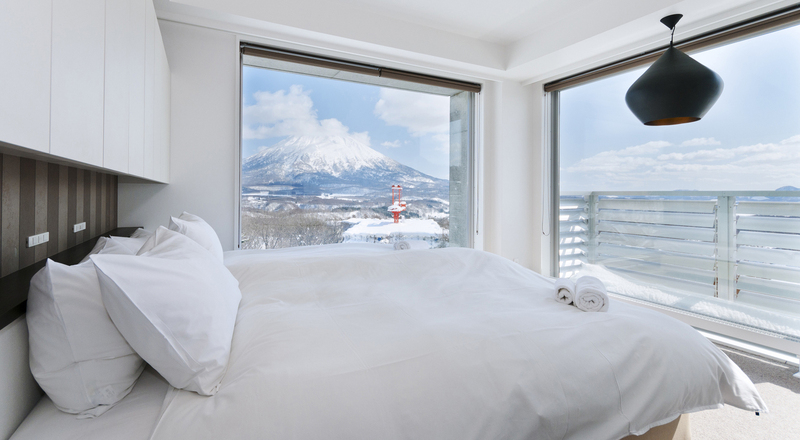 Staying in a luxury penthouse in the heart of Niseko, aka the powder capital of the world, should be on every powder hound’s bucket list. Our team was lucky enough to live the dream at Kizuna. Our stay at Kizuna started with a private lift whisking us up to our penthouse – actually, the lift took us straight into our penthouse. Not a bad introduction into our new home for the next few days. The name Kizuna means “the bonds that link us together” in Japanese and true enough, there is something about Kizuna that works wonders in bringing the whole group together. Kizuna’s penthouse spans two floors, with the living areas located down on the sixth floor and the bedrooms up on the seventh floor. We were immediately wowed by the fabulous white leather lounge which offers direct views of Mt Yotei. As we took a closer look at our new digs, we discovered that the penthouse actually offers 360-degree views of Hirafu Village. This meant we could check out the action happening on the slopes without even leaving the apartment. The living room is also fitted with an Apple TV and surround sound, which made it a great place to hang out and relax after a day out on the slopes. 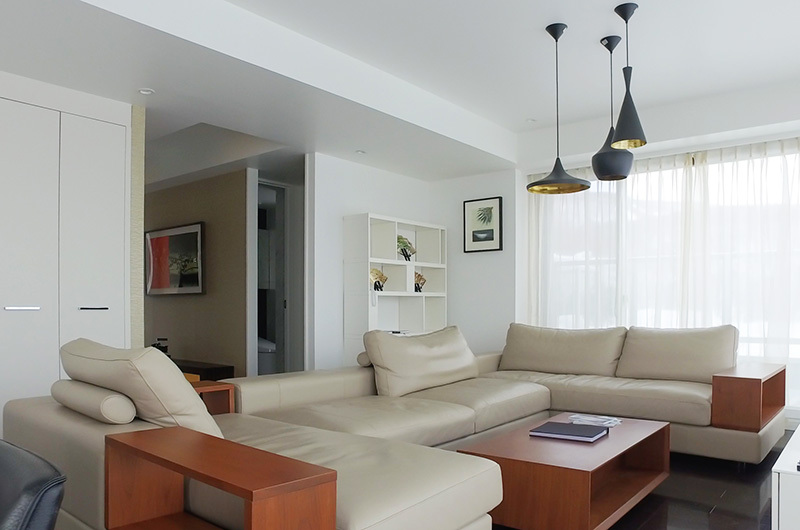 All in all, Kizuna houses 10 apartments with 1, 2 and 3-bedroom configurations. While the bedrooms aren’t huge, the full-wall windows and immaculate mountainside views make the space feel larger than life. Our penthouse had three bedrooms, all furnished with split beds which can be set up as a king or two singles as needed. This flexibility was perfect for our mixed group of six. All three rooms have ensuite bathrooms and as a nice bonus, the master bathroom also includes a sunken bathtub. After catching some shut eye and sipping our morning espressos (yes, the apartment comes with an espresso machine! ), it was time to head out to check out the sights. Most people associate Niseko with the great outdoors, but as we were about to discover, there’s a lot to be said for staying indoors as well. We absolutely loved the restaurant scene waiting right outside our doorstep. 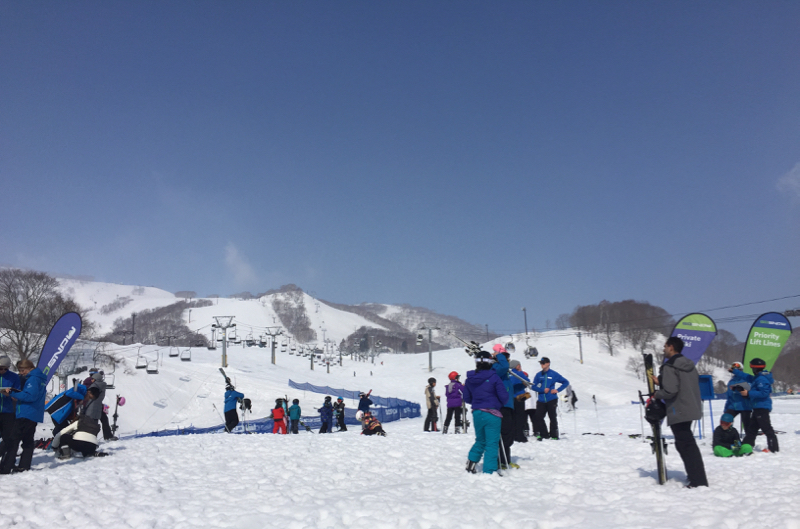 Whether you’re looking to ski all day or want to focus on some après-ski fun, Kizuna offers one of the best locations in Niseko. We didn’t have to search far for our favourite new dinner spot. 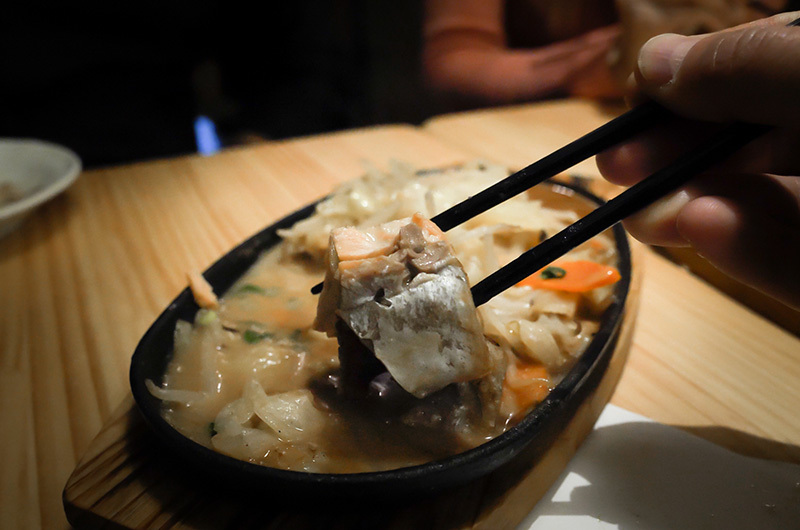 Located literally right across the street from Kizuna, Jam Café Bar is one of the coolest little restaurants in Niseko serving scrumptious izakaya-style cuisine. The food was fantastic – though the price of the wine did come as a bit of a shock! 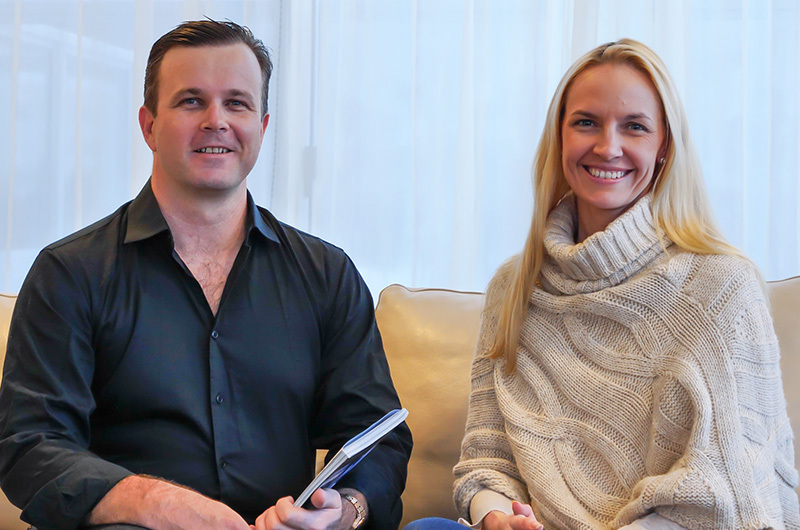 We were also just a few doors down from Wild Bill’s, a lively nightlife spot and a fully-fledged Niseko institution. 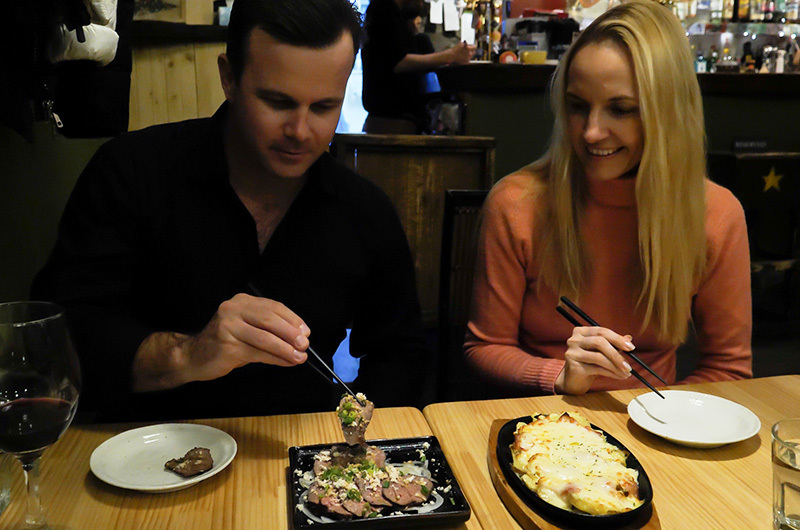 Though the restaurants in Niseko seem to be seriously upping their game and you only need to walk 200 metres from Kizuna to reach the closest Michelin-starred restaurant, the slopes still remain Niseko’s main attraction. From Kizuna, the Ace Quad Lift is about five minutes away on foot and you can reach the Hirafu Gondola in about 10 minutes. The free shuttle bus stop is also a short 150 metres away, so getting around the village was a breeze. Despite the central location, Kizuna still maintains a wonderful sense of peace and quiet, with the apartments overlooking snowy fields and a creek. Once you’re done channelling your inner zen looking at those frosty views, you’ll still find everything Niseko has to offer within a five-minute walk from your doorstep. We’d call that a win-win. 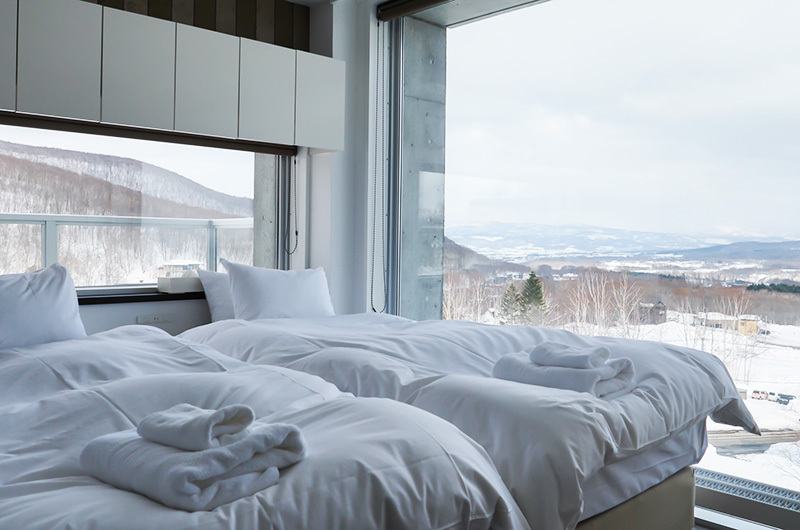 Staying at Kizuna definitely felt like ticking off an item from our Niseko bucket list. There is something irresistibly decadent about staying in a penthouse – especially one that’s accessible by a private lift and spans two floors! Add to that the epic views, superb location and a divine food coma courtesy of Jam Café Bar and you’re pretty darn close to a perfect stay in Niseko.